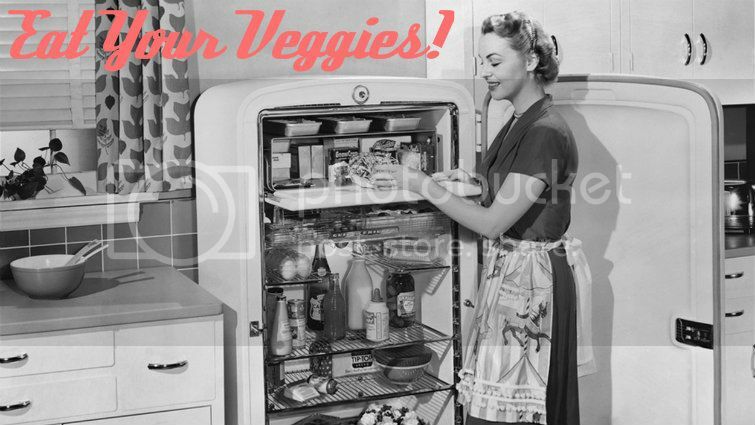 Betties N Brimstone: Eat Your CSA Vegetables! 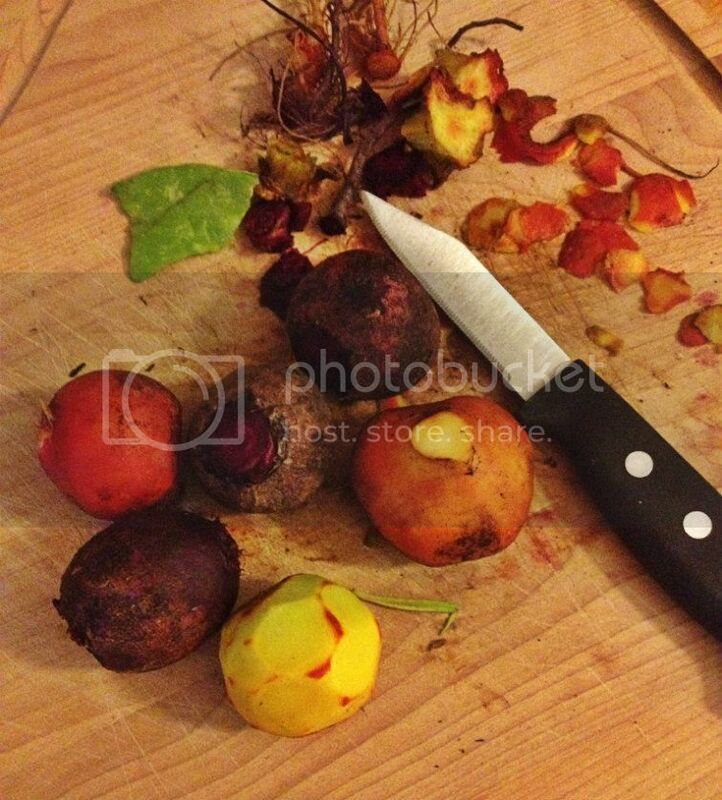 - You can either peel outside of beets or keep the skins on while they roast...although it's hot and you get red fingers. 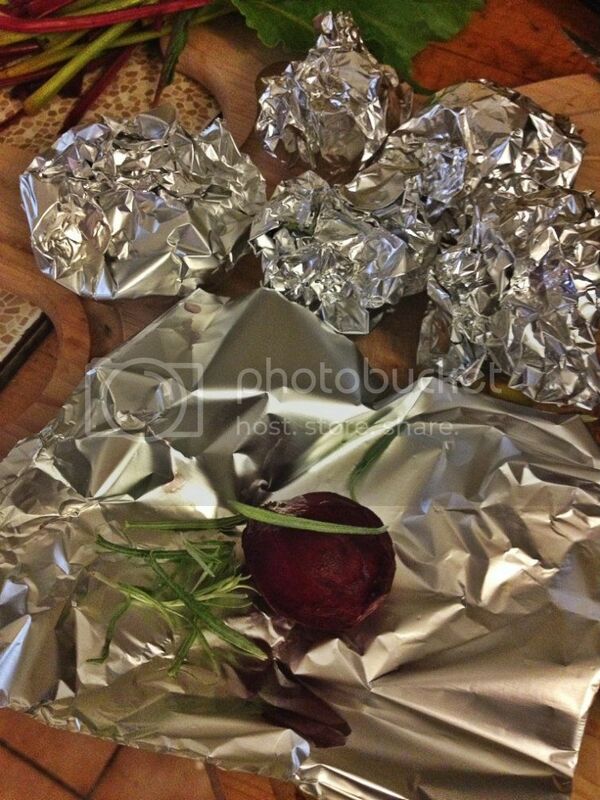 - Loosely wrap beets in foil. I like to our olive oil and spices around them if they are peeled. 1 lb. thinly sliced steak (I used the cheapest steak I could find and cut it into pieces...cuz I'm poor). Once steak has marinated, heat 1 Tbsp. oil in a large sauté pan (I used a cast iron) over medium-high heat. Remove steak from marinade with a slotted spoon, reserving the marinade (super important) and add to saute pan with garlic. Saute for about 2-3 minutes until browned, stirring occasionally. Remove steak with a slotted spoon and set aside." Add mushrooms, kale, Garlic scapes and reserved marinade to sauté pan. 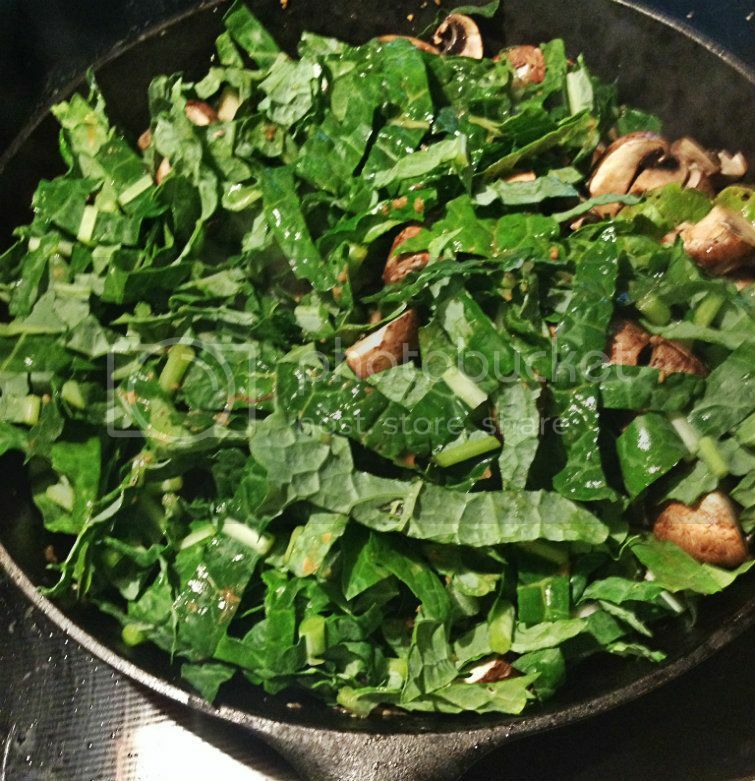 Stir to combine and cook for 3-4 minutes, until the kale is wilted, the sauce has thickened, and the mushrooms have cooked, stirring regularly so that sauce does not burn. Add in the steak, and toss to combine." 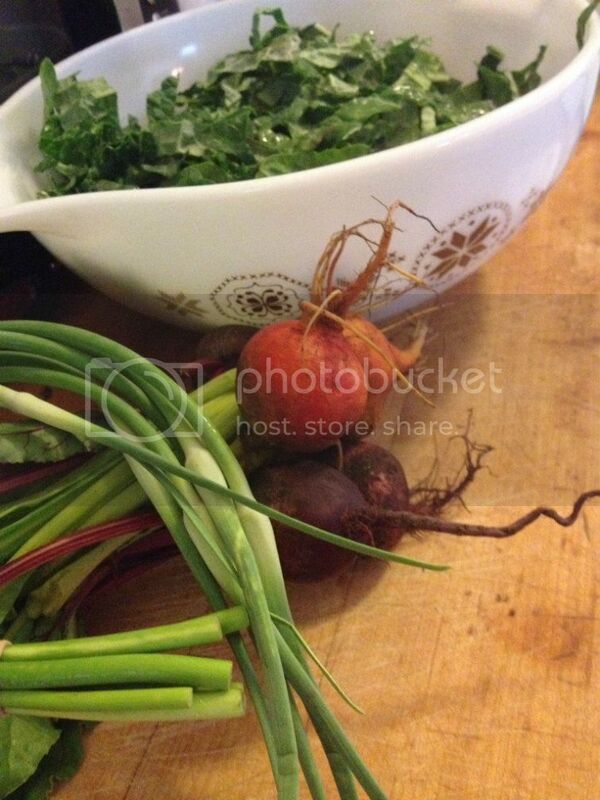 I served it alone with the beets and barley, but the recipe says you can serve it over rice or quinoa. 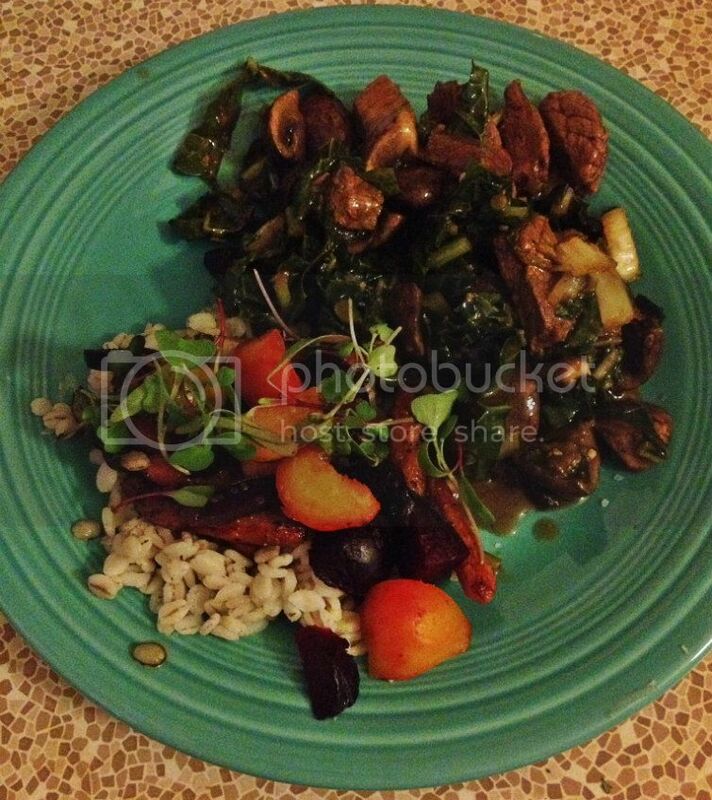 I garnished it with seem mircogreens (also from my CSA veggies) and tucked in! A delicious and healthy family dinner! Eat It: Peanut Butter + Jelly Greek Yogurt! Cheers! Relax and Support Local Farmers this 4th!